In a strongly worded response to an ongoing consultation exercise on the future use of the Sullom Voe harbour area, the body representing local fishermen said Shetland Islands Council has a history of giving away public resources that have now become private assets. 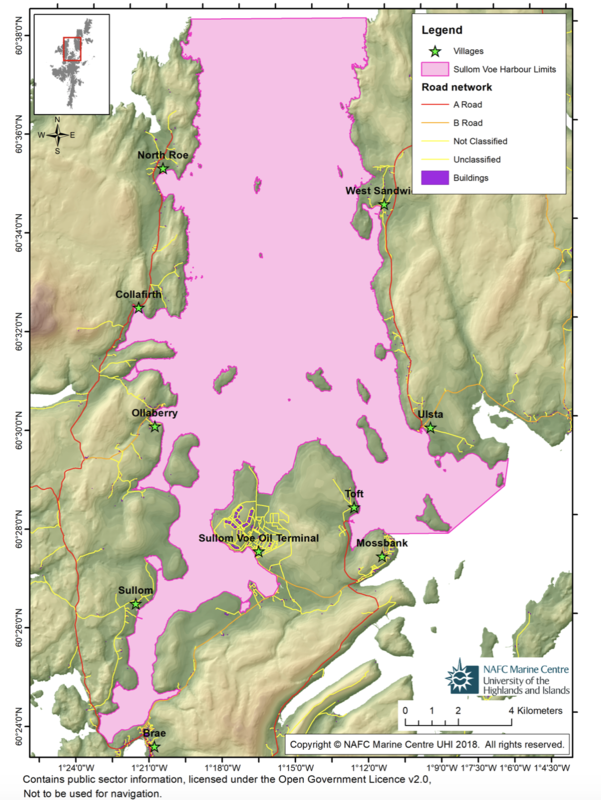 The SIC has launched a consultation exercise in the community on potential development within the harbour limits, which stretches from Brae in the south and well into Yell Sound in the north and east, prior to creating a “Master Plan”. Up until now no aquaculture developments within the area were permitted, but with the dramatic drop in tanker traffic to the oil terminal, the SIC as planning authority is reviewing this policy with a view to lifting the blanket ban. It is no secret that the salmon farming industry is keen to expand into some of the voes and inlets that might become available for development. A number of workshops have been held this week to gauge public opinion. The SIC’s director of infrastructure services John Smith did not respond to the fishermen’s accusation of privatising public resources for private benefit.